There are more options for home exteriors than ever before, but vinyl siding remains the top choice among homeowners. Vinyl siding has been around since the 60s but it’s still the siding that homeowners overwhelmingly choose for their homes. New siding options like fiber cement siding and steel log siding are trendy because they come in vintage colors and are made with modern technology but the best investment for siding your home is vinyl siding. Even the most affordable new modern siding options don’t compare to the cost of vinyl siding. When you’re checking out all the options to change up the look of your home and replace your siding, don’t get taken in by new technology or flashy social media campaigns promoting expensive new siding. Vinyl siding is still the most popular home siding option among homeowners that want to get the most bang for their buck. There are many different reasons why homeowners choose vinyl siding and there are many reasons why you should too. Check out some of the most popular reasons why homeowners all over the country choose vinyl siding for their homes. When homeowners were asked in a survey why they chose vinyl siding for their homes, most homeowners said they chose vinyl siding because it’s affordable. Replacing the siding on a home can get quite expensive and choosing a material like vinyl that is reasonably priced and will last for a long time is a great value. Homeowners that need to be concerned about the bottom line but want their homes to look great always choose vinyl siding. So, if you want to transform the look of your home, or if your home needs new siding and you’re concerned about the cost, vinyl siding is a great option. It comes in many different colors so that you’ll be able to find a color that fits your home and your personality. Another reason why homeowners love vinyl siding is that it’s very versatile. Vinyl siding can be laid horizontally or vertically in order to change the appearance of a home. It comes in a huge array of traditional and unique colors so that every homeowner can choose a color they really like because the vinyl siding is hung in sheets, it’s also easy to remove only one piece and replace it if for some reason one of the pieces of siding were to get damaged or fade. By replacing just the piece of siding that is damaged, homeowners can save a lot of money and make sure that their home still looks great. Homeowners in communities may be required to use vinyl siding because of bylaws but there are so many options when it comes to vinyl siding. Homeowners will be able to find siding that they love without worrying about breaking their community rules. The second most popular reason that homeowners give for choosing vinyl siding is that it’s durable. Vinyl siding, when properly installed and maintained, can last for 30 to 50 years. And it never needs painting and won’t fade, crack or peel. That provides a lot of peace of mind for homeowners. 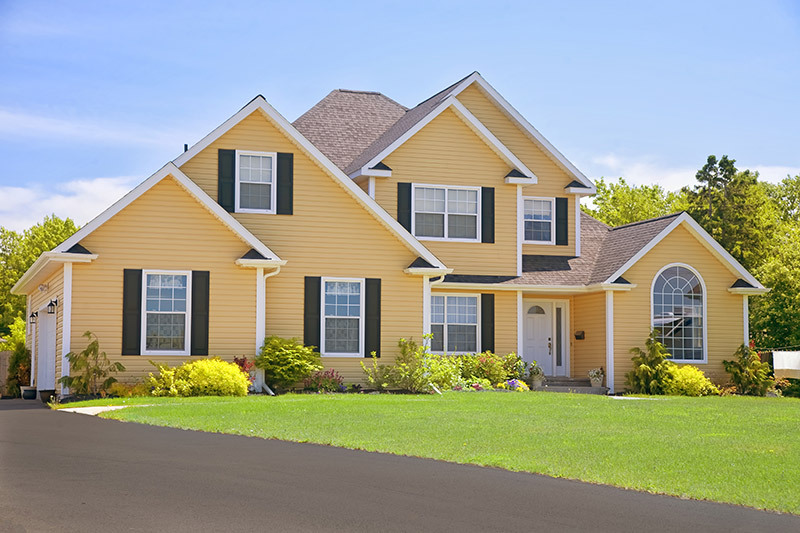 Vinyl siding is strong, light, and made to withstand even the most severe weather conditions. 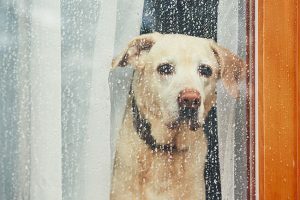 Baking hot summer sun, rainy and cold autumn, winter snow and ice, and spring storms and hurricanes can’t take down vinyl siding. No matter what the weather is or how the weather changes from year to year homeowners that invest in vinyl siding can be sure that their homes are going to be protected from the elements. If you want your home to look fantastic but you don’t want to spend a lot of time or money making it look fantastic, vinyl siding is the right choice for you. A professional vinyl siding installation specialist can install vinyl siding very quickly. 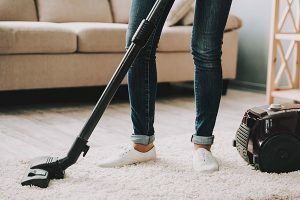 The entire job can be done in just a few days, depending on the size of your home. If you want minimum disruption from work crews and construction while your home is being renovated and given a facelift you should choose vinyl siding that is professionally installed. Professionals that work with vinyl siding every day will know exactly how to get your vinyl siding installed quickly so that you can just enjoy the way that your home looks. If you’re planning on selling your home and you’re installing vinyl siding to improve the resale value or get buyers interested in an older home, the vinyl siding pros can have your home looking great in just days. Vinyl siding is one of the easiest types of siding to maintain. Unlike traditional wood siding, vinyl siding doesn’t need to be scraped, peeled, primed and painted every few years. The color pigment that gives vinyl siding the vibrant color that it has is baked right into the vinyl and then sealed. So it never needs painting or updating. Also, the color will never fade. Even if it sits in the hot sun for decades the color will stay bright and beautiful. Vinyl siding won’t warp, crack, mold, or peel like wood siding either. 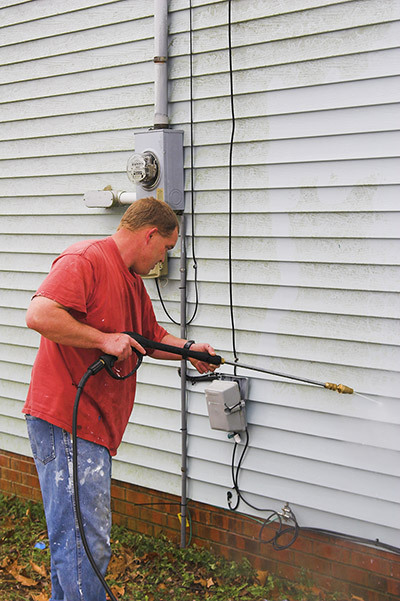 With regular power washing and cleaning vinyl siding will look as good as new for decades. Just make sure that you power wash twice a year in order to keep it free from dirt, mold and pollen. Over the course of the year, sap, pollen, dust, and bacteria can get blown onto your siding. 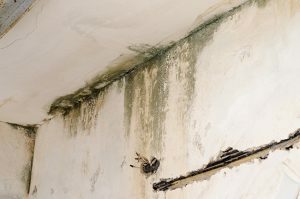 A professional power wash twice a year will blow all that gunk off of your home and make it look like brand new again. As a homeowner, if you want an exterior finish that is going to wear well over the years, comes in lots of great colors, and is affordable then you should consider investing in vinyl siding for your home. Are you ready to capitalize on the many awesome perks of having vinyl siding for your home? Get a Free Quote with Feldco Today.